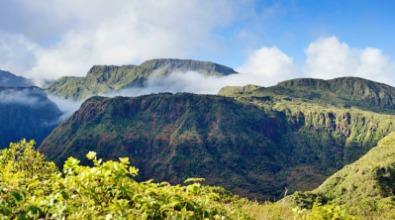 Maui’s diverse landscapes offers incredible hiking and walking opportunities. From a nature walk along the coast to a chilly climb on a high volcanic trail, there is something for every skill level. So get out in Maui’s fresh air. You might discover hidden waterfalls, elusive shorebirds, lush forests and rare plants. This list generally goes from easy walks to the most difficult hikes. 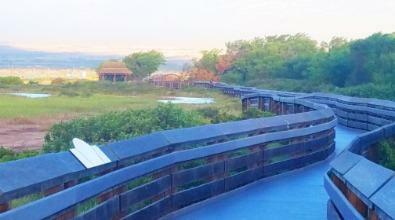 With the ocean on one side and Kealia Pond on the other, the Kealia Boardwalk has numerous spots to observe wildlife. 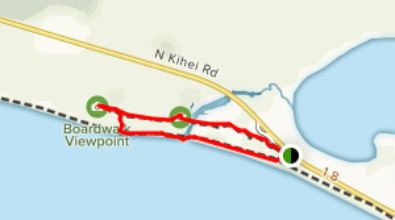 This 0.9 mile moderately trafficked loop trail located near Kihei features beautiful wild flowers and is good for all skill levels. Part of the Kealia Pond National Wildlife Refuge, which encompasses approximately 700 acres, it is a notable place to observe native wetland birds and feathered visitors from as far away as Alaska. Check the U.S. 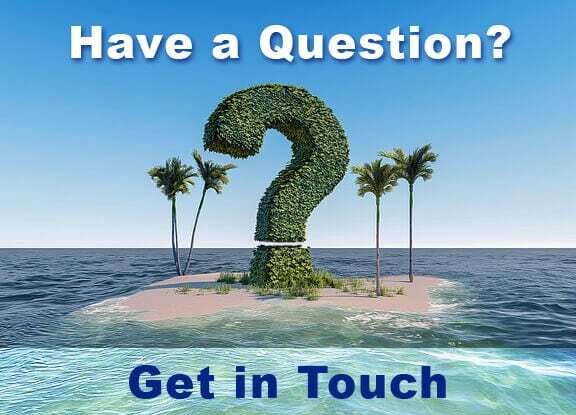 Fish and Wildlife website for more info or to arrange a guided tour. Rise and shine for an early morning beach walk or jog. Both the South and West Maui resort areas have incredible paved paths that wind past luxury hotels and golden sand beaches. Wailea Trail: Take a break for a dip in the ocean or grab a gourmet latte to go. Kaanapali Trail: Facilities and amenities are top notch along this trails. From an ocean side parking lot shared with the Pools of Oheo, Pipiwai Trail winds though a portion of Haleakala National Park in East Maui, 12 miles past Hana at Kipahulu. Cross a creek and enter an enchanting bamboo forest. A soaring cathedral of bamboo hushes the outside world and creates a sense of serenity. 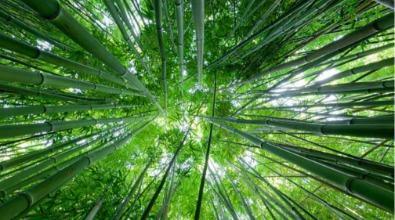 Stop and listen to the music of wind rustling the bamboo stalks. At the end of the trail is a soaring waterfall and pools to take a refreshing dip. 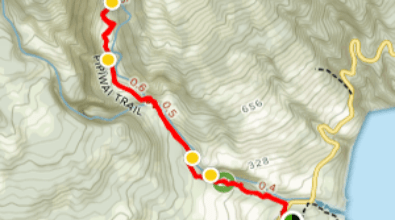 The trail is 4 miles round trip, with some gentle inclines. It is mostly a dirt trail, though there is a boardwalk in places, and rough stone steps. Light tennis shoes or light hiking boots are recommended. Please be that this area is prone to flash flooding. If it starts to rain, you should turn back. 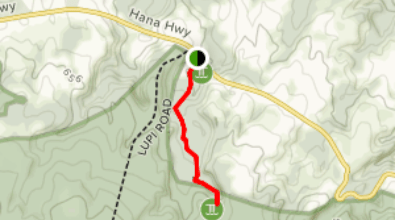 This hike is near the beginning of the road to Hana, once you get past the towns of Paia and Haiku. 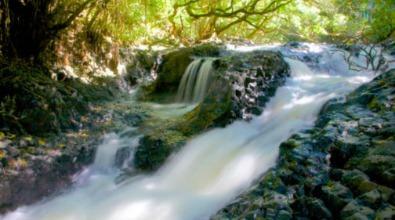 A 2-mile roundtrip rainforest trail splits off to two incredible waterfalls and pools for swimming. Though the terrain can be rough, it is relatively flat. However, it can get really muddy when it rains, and slippers just get stuck in the mud, so wear some sneaks you don’t mind getting dirty. Also, get there early to avoid the crowds. There are over 30 miles of hiking trails at the Haleakala summit. Sliding Sands trail departs from the main parking area, and goes into the crater. 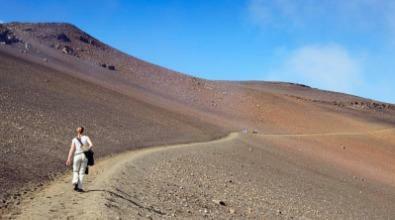 The varying hues of volcanic sand inside the crater are beautiful, but learning from experience, it can tear up shoes. This trail requires appropriate hiking boots. Since you will be starting the trail downhill, keep in mind it will be doubly strenuous on the way back up, especially since each step you take takes twice the effort because of the sliding sands. 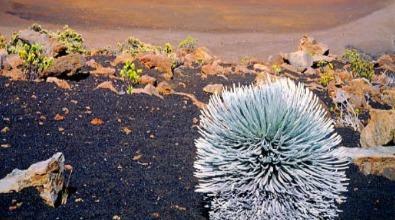 Along the trail are the extremely rare Silversword plants, an endemic species found nowhere else in the world. The plants can live up to 90 years, bloom once then die. You might also spot the endemic Nene Goose, the Hawaii state bird. The trail is strenuous, and hikers should plan for extreme weather conditions that can change mid hike. Also, the high altitude provides less oxygen.With proper preparations, this hike is very memorable. There is a different perspective from the top of a mountain. 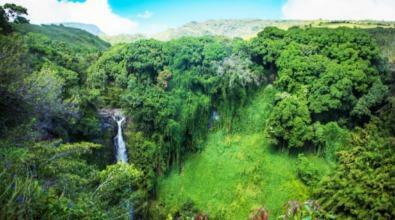 Located in the West Maui Forest Reserve, the Waihee Ridge trail is a place to get away from it all. The steep terrain may be what keeps crowds away on this 4.5 mile hike. Those that take on this challenging trail are rewarded with stunning views. At the top you can take in the entire island from Kahului to the Northeast to Molokai to the West. This trail is for experienced hikers with adequate preparation.